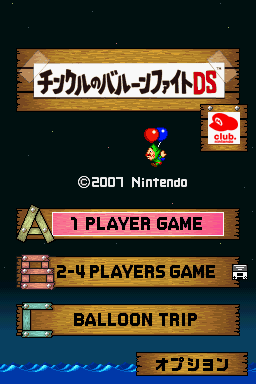 Tingle no Balloon Fight DS is a Japanese Club Nintendo-exclusive enhanced remake of Balloon Fight. Only problem: you play as Tingle. Among the "bonus" additions for this version are voiced "Koolimpah!" wails and a nightmare-inducing artwork gallery. Animate these (or at least those that can). These graphics were probably used for testing purposes and are similar to the unused graphics in Game & Watch Collection. This page was last modified on 12 December 2018, at 17:32.